The signal bars in your iPhone's status bar is a great visual indicator for knowing how good your cellular reception is, but they're not very accurate. Instead of showing the actual amount of signal you're receiving, they just give you a general range, and you'll have no idea if three out of four bars is actually a good connection or not. But there is a trick in iOS 11 to seeing the real numbers. This trick has actually been around for a long time, and it would actually visually change the signal bars in your status bar to decibel-milliwatts (dBm), the absolute unit used to measure your reception from a cell tower. So, if you're still running iOS 10 or lower, check out our guide on unlocking the hidden network strength meter in your status bar to see how it's done. 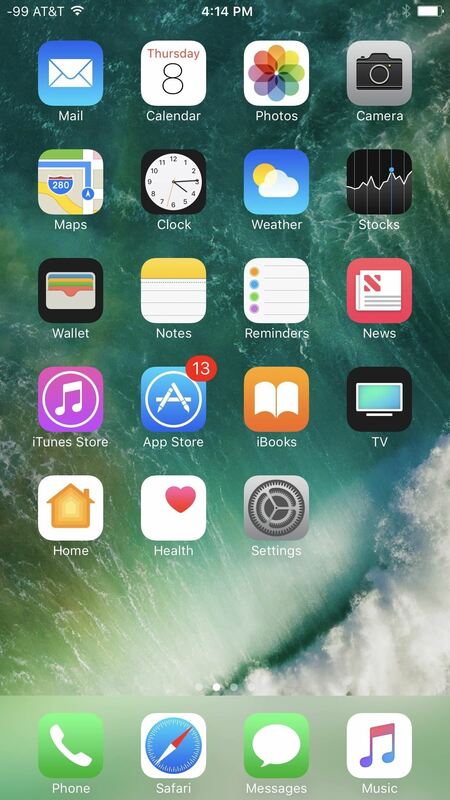 This is an iPhone running iOS 10.3.3. Eventually, all good things must end, and iOS 11 broke this trick, so there's no way for you to change to dBm anymore in your status bar if you want more exact reception data. There is, however, a way for you to see your signal strength in dBm still, you just won't get the convenience of it sticking around in your status bar. 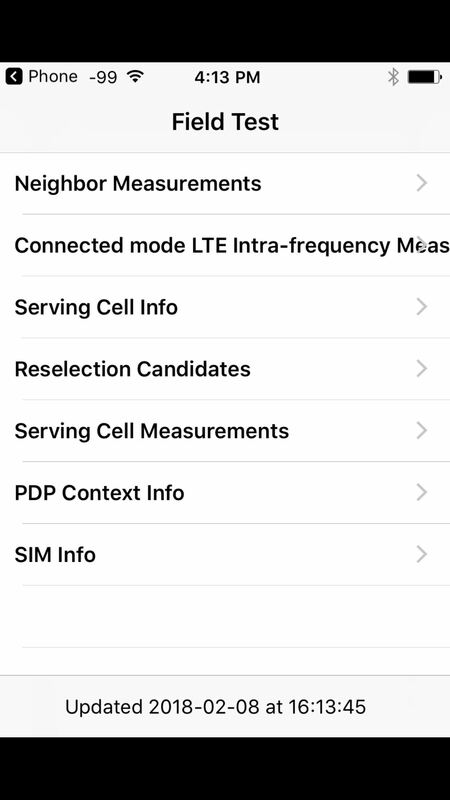 Unfortunately, in iOS 11, you can only view your 4G LTE reception strength to the nearest cell tower if you have an iPhone with an Intel wireless modem, not a Qualcomm one. 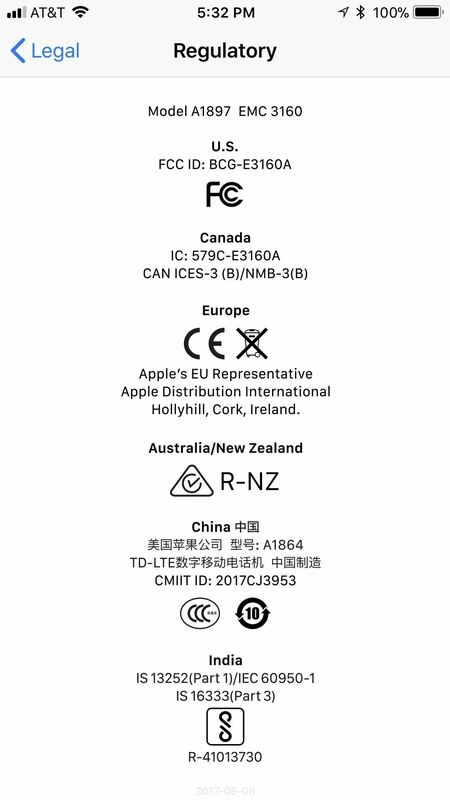 While you can access similar data readings on both versions, only the following iPhone models with the Intel wireless chips will be able to show you the dBm you want. 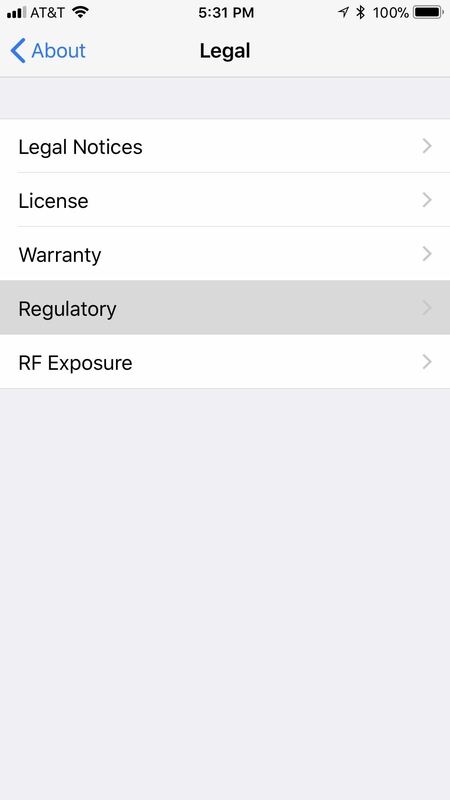 To see if your model number matches one of the above iPhones, open up your Settings app, then go to General –> About –> Legal –> Regulatory. Up at the top of the page, you'll see your A#### model number. If your model isn't included in the list above, you can still try the following steps out just in case, but don't be surprised if it doesn't work. 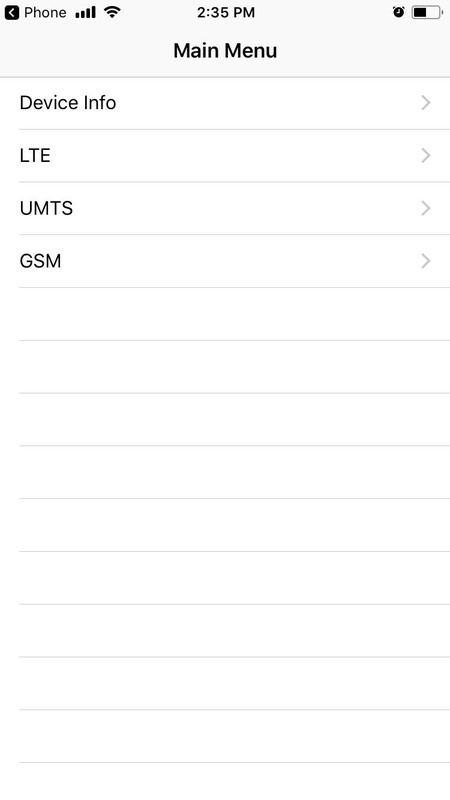 In order to see your current signal strength in actual numbers, you'll need to enter Field Test mode on your iPhone. This can be done exactly like before in iOS 10 and under, using the following code. So, open up your Phone app to the "Keypad" tab, type in that code above, then follow it up by hitting the green call button. If you see the Field Test menu that looks like the one on the left below, you don't have an Intel chip, but if it looks like the one on the right, you do have an Intel chip, and you can proceed. Qualcomm (left) vs. Intel version (right). 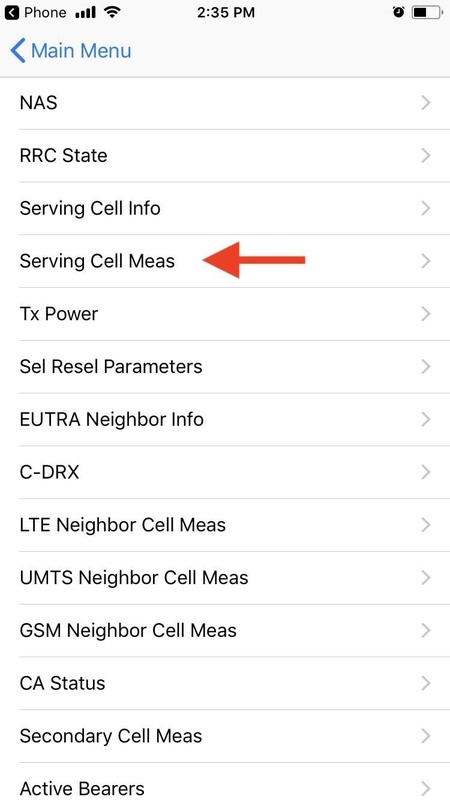 From the main Field Test menu, simply select "LTE," then "Serving Cell Meas" on the next page. On this page, you'll want to look at the numbers next to rsrp0 and rsrp1. The former is the cell tower you're currently connected to, while the latter is the closest backup tower. RSRP refers to "reference signal received power." For our purposes here, you'll only want to pay attention to the rsrp0 numbers, which will be closest to the digits that would appear in your status bar in older iOS versions. The number should be displayed as a negative number since that's how dBm signal strength is measured. The closer the negative number is to 0, the better your reception is. The larger the negative number is, the worse your reception is. Then, compare your dBM to the ones in the list below. So, in my case, my iPhone is reading -100, which falls into the "Good" category of reception. You can also see that my signal bars are 4/4, which is likely because that fourth bar includes everything from the "Good" category and higher. So, while the reception may be good, it's not the best it could be, though, you will rarely experience "Excellent" reception unless you are standing next to a cell tower, even if your iPhone says 4/4 bars. 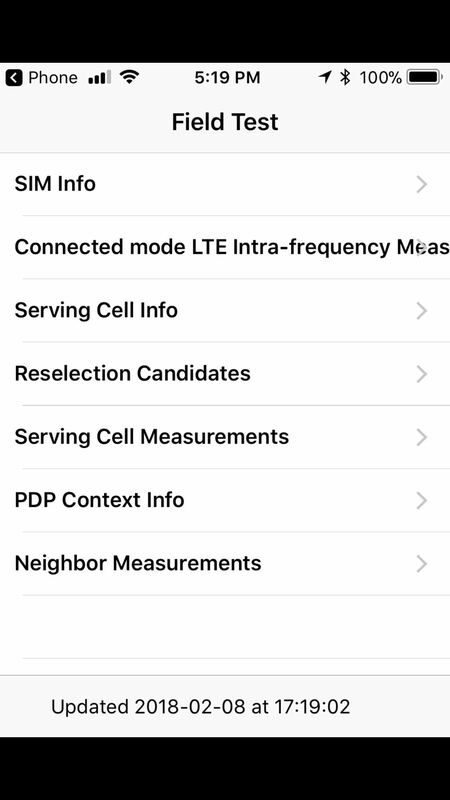 For iPhones not running Intel cellular radio chips, you can still dig through the Field Test menu to get an idea of what your reception is like, but none of it is very accurate. 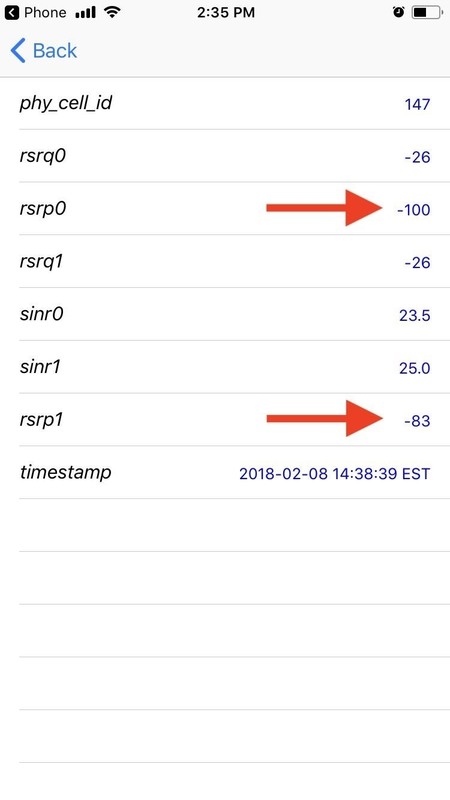 For instance, some people say you can use "Measured RSRP" to calculate your actual reception, but in my experience, it's completely inaccurate. The "Measured RSSI" number may also be noteworthy since it stands for "received signal strength indicator," but again, in my experience, this just is nowhere near accurate. Maybe one day the Field Test tool will be just as useful as it was on iOS 10 and under, but right now, it looks like it's only going to get worse. 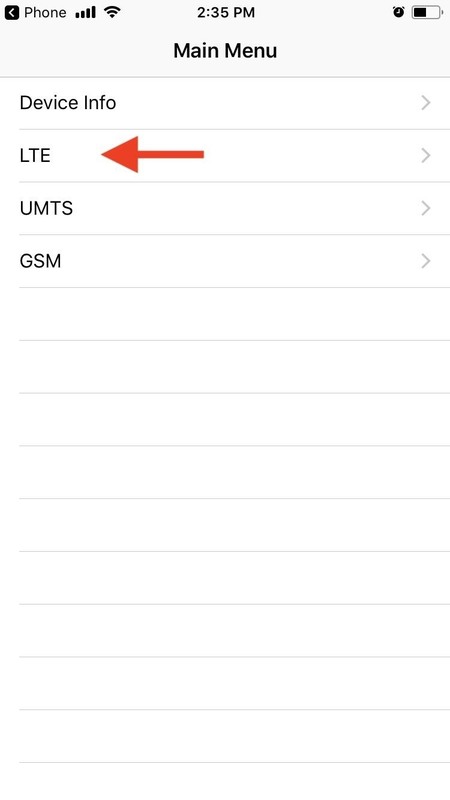 Plus, any apps that could read this data before can't function anymore in iOS 11, so if you were hoping for a quick way to see your reception in dBm using a third-party app, you'll be sorely disappointed. Why does Apple always have to make me regret trusting them? I FINALLY upgraded from iOS 10 to 11 today, after finally being convinced that the OS is stable enough to risk it and they take away one of my most loved features of iOS 10. Add this to the pile of crap that Apple has done for no good reason that makes me want to be rid of Apple forever. Very soon.